Kyocera’s horizontal Y peeler features two eye corers to remove imperfections and a comfortable ergonomic handle that complements the Revolution Series cutlery line. 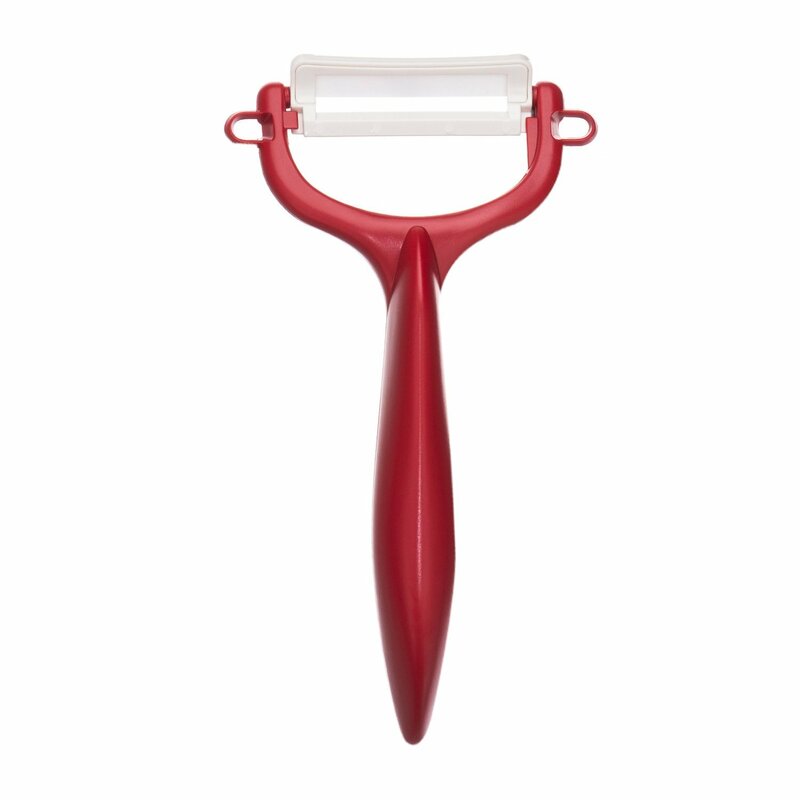 Kyocera’s “Y” hand peeler is a favorite for fruits and vegetables. The double ceramic edge is second only to diamonds in sharpness and holds it’s edge 10 times longer than stainless. 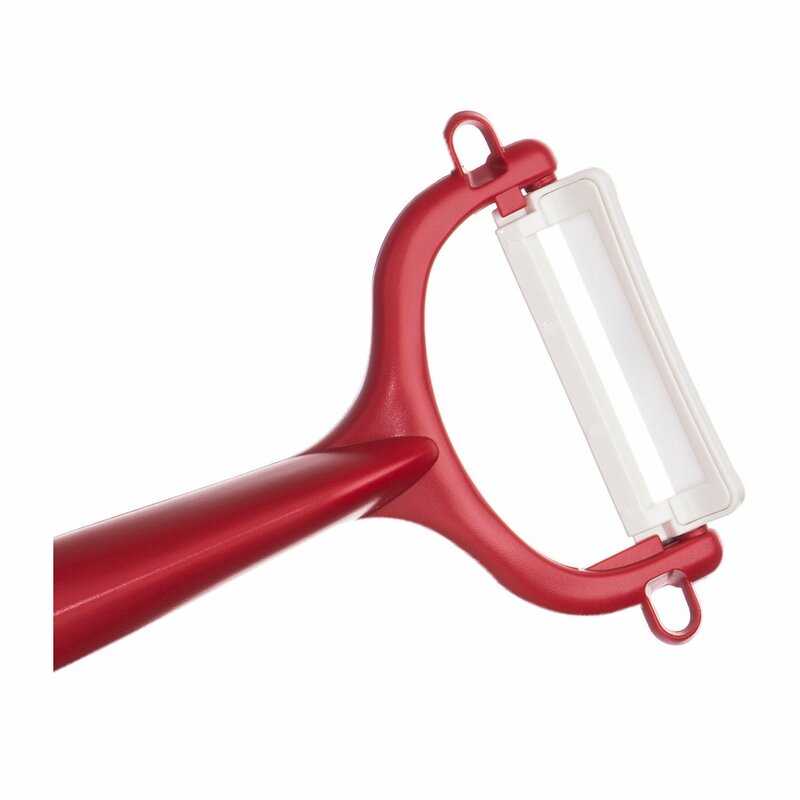 A molded handle makes it easy to grip. 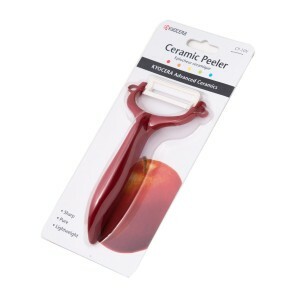 You’ll cut prep time and find that your peeler lasts through countless years of kitchen use. To clean, simply rinse the blade with warm water and pat dry. Blade: advanced ceramic. Dishwasher safe.